GREGOR WEEKS - Co-Founder/Chief Executive Officer, SmartLegalForms, Inc., and DirectLaw, Inc.
Gregor is a graduate of the University of Scranton and has completed his J.D. at the University of Maryland School of Law. As chief executive officer, he is the architect of the DirectLaw virtual law firm platform. Gregor has been with SmartLegalForms since its inception in 2000. Gregor was previously an Intranet Administrator with Planning Systems, Inc. and Technical Assistant at the Office of Naval Research. RICHARD S. GRANAT - Co-Founder/Strategic Advisor of DirectLaw, Inc., and SmartLegalForms, Inc.
Richard S. Granat has served as Co-Chair of the eLawyering Task Force of the Law Practice Management Division and is presently a member of the Section Council of the American Bar Association's Law Practice Management Division. He also serves on the Standing Committee on the Delivery of Legal Services of the ABA. Richard is also a member of the Maryland and District of Columbia Bar and was chair of the Law Practice Management Section of the Maryland Bar Association. Richard has been involved in developing innovative legal services delivery systems for over 30 years, first as part of the initial working group that created the National Legal Services Program, and then later as Director of the Center for Legal Studies at Antioch Law School in Washington, D.C., the nation's first clinical law school, and later President and Dean of the Philadelphia Institute for Paralegal Training, the nation's first paralegal school. 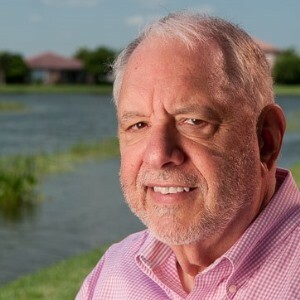 He was the founding CEO of Automated Legal Systems, Inc., an affiliate of The Philadelphia Institute, one of the first legal software companies to publish legal applications for the personal computer in the early 1980s. He is an acknowledged expert on the delivery of online legal services. Richard created the first virtual law firm in Maryland in 2003, which was the prototype for the DirectLaw Virtual law firm platform. A frequent speaker and writer, Richard's articles about elawyering have appeared in Law Practice Today, the New York State Bar Association Journal, the Maryland State Bar Association Journal and other legal industry publications. Richard named a "Legal Rebel" by the American Bar Association Journal in 2009. and was awarded the Louis M. Brown Lifetime Achievement Award for Innovation in the Delivery of Legal Services in 2010. Richard has taught at the University of Maryland School of Law, the District of Columbia School of Law, Rutgers School of Law of Law, courses in Computers and the Law and Law Practice Management. Richard is a graduate of Columbia University School of Law (J.D. ), the University of Pennsylvania (M.S. in Organizational Development) and Lehigh University (B.A.). PAM ANDREWS - Director, Law Firm Development and Marketing, Epoq US, Inc., and DirectLaw, Inc.
Pam is Director of Law Firm Development and Marketing. In this role, she manages all online advertising campaigns for our retail operations; coordinates the marketing and lead management of our DirectLaw Virtual Law Firm Platform, serving as project and relationship manager. Pam has over 17 years of combined experience in human resources management, sales/marketing, and managing client service operations. LYNETTE MAHANEY - Director, Customer Support & Training, SmartLegalForms, Inc. and DirectLaw, Inc.
Lynette has over 10 years experience with SmartLegalForms in managing customer support systems for the company large network of legal form web sites. Lynette is a graduate of the University of Maryland, has extensive paralegal experience and was previously employed with Kubovcik & Kubovcik, a Washington DC law firm specializing in patent and trademark law.